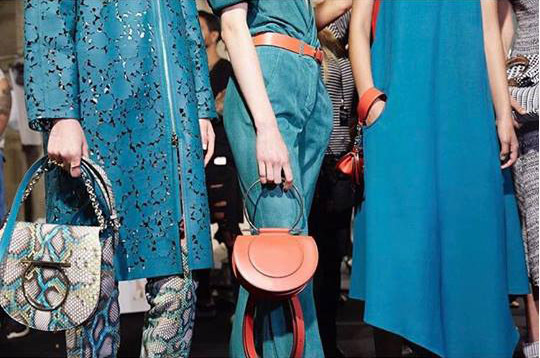 For the love of monochrome and shades of blue, we cannot wait to get our hands on these super funky bags from Christian Dior’s SS18 Collection at Paris Fashion week. 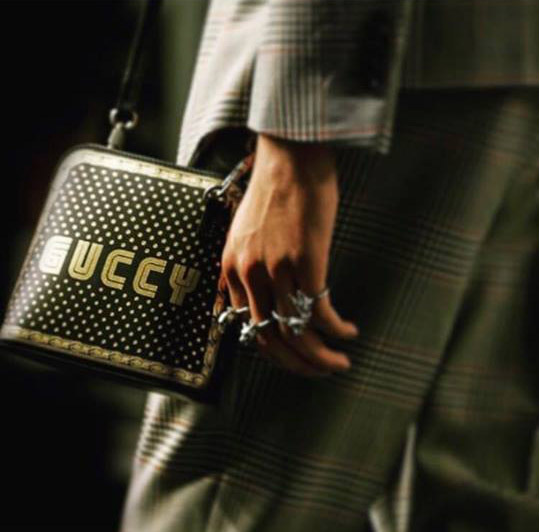 How cool is Gucci’s sling from their SS18 collection at Milan Fashion week? The font is inspired by Sega, the interactive entertainment company. 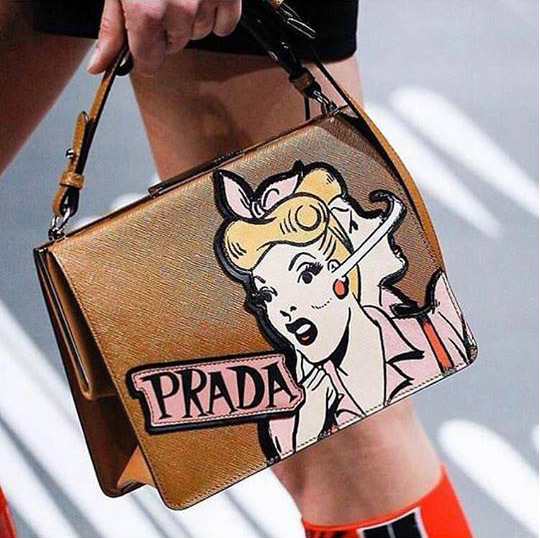 This pop art inspired bag has got our hearts! We fell in love with Prada’s SS’18 collection at Milan fashion week. Iconic gancini detailing, assorted prints and textures by Salvatore Ferragamo! 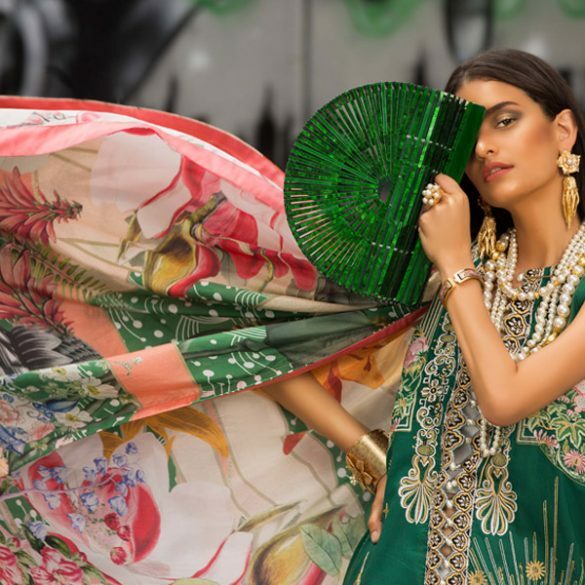 Swooning over their latest collection. 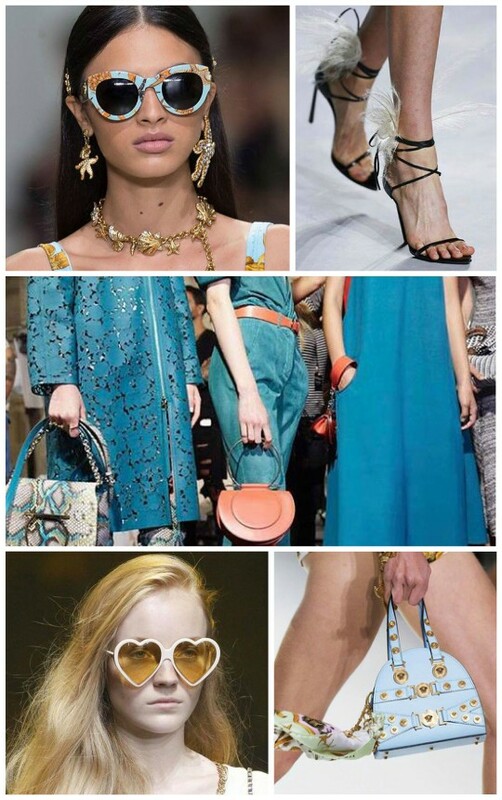 Versace’s powder blue mini bag is on top of our list. Attention to details, that seashells printed scarf is super cute. 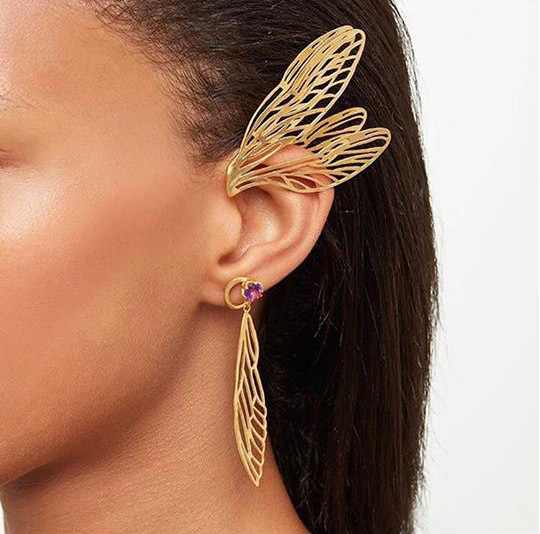 These stunning ear cuffs by Alex Monroe jewellery used for Sophia Webster’s SS18 show at London Fashion week are giving us major fairy feels. 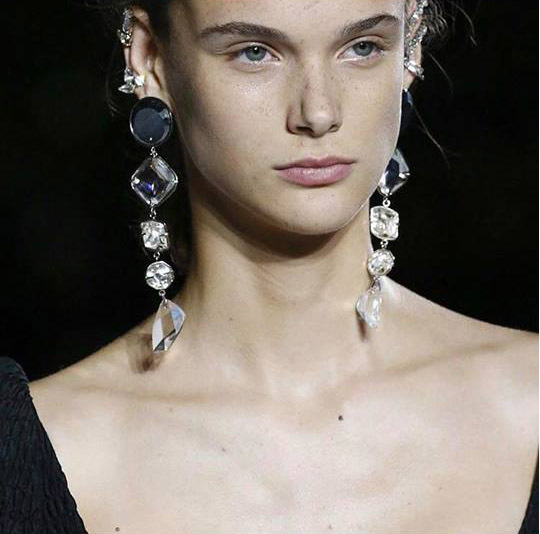 Super funky dangly earrings spotted at the Saint Laurent show at Paris Fashion week that really complimented the collection. This was love at first sight. Seashells and starfish accessories were one of the highlights at Versace’s SS18 show. 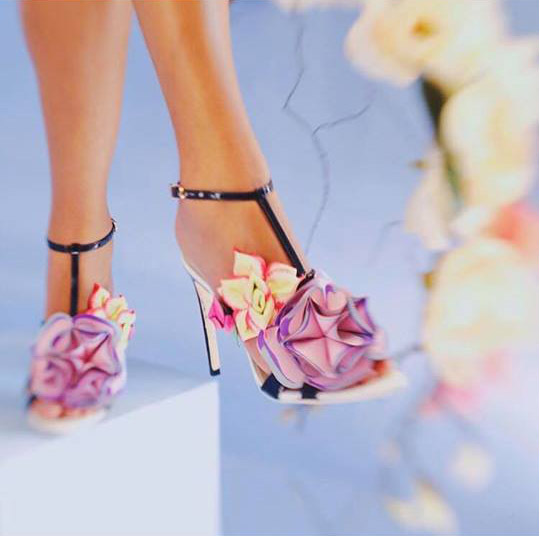 We have always been a huge fan of Sophia Webster’s one of a kind heels. 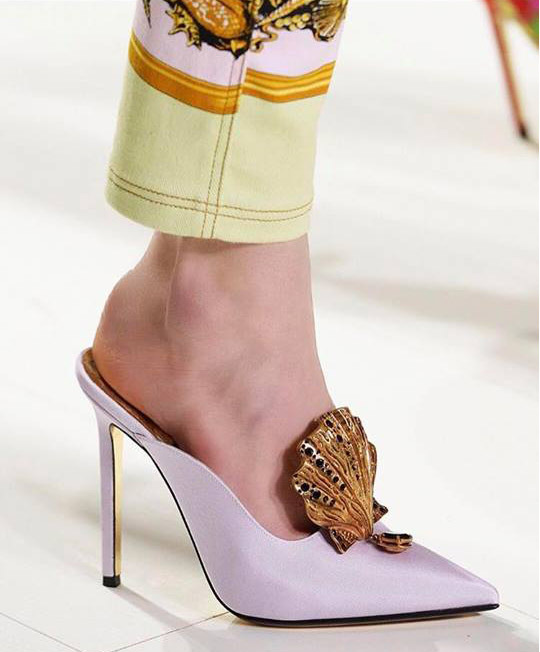 This year she changed the game by introducing ‘Jumbo Lilico’ heels for her SS18 collection. 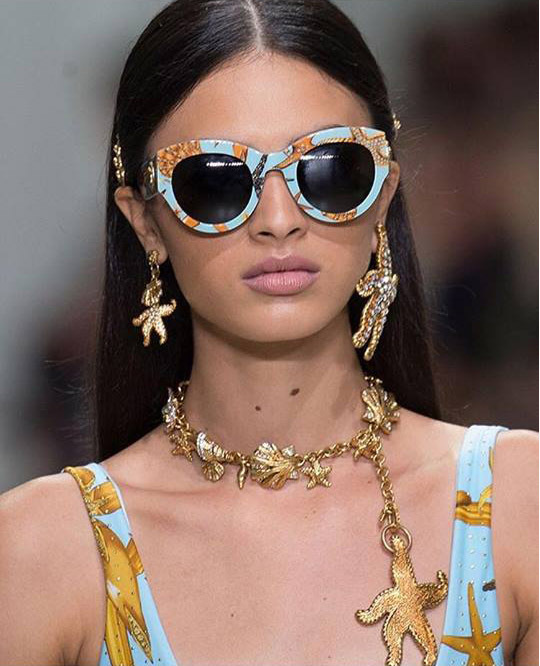 Its all in the details, Versace’s seashells inspired accessories left everyone in awe. Definitely adding these beauties to our closets. Straps and feathers-what a unique combination and no one can do it better than Saint Laurent. 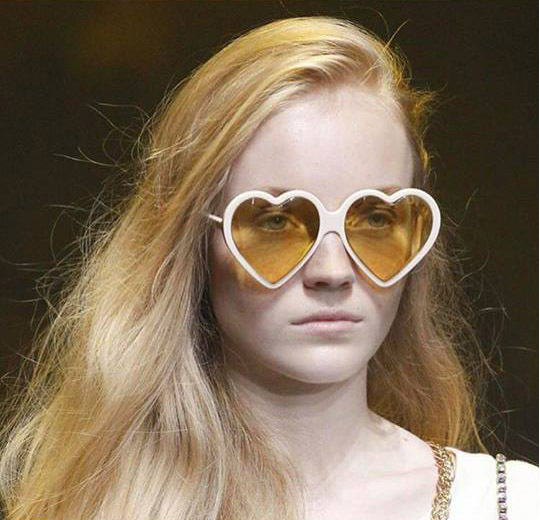 Who would not wear Gucci’s heart shaped sunnies? These are a perfect playful accessory for the beach! Embellished sunnies are all the rage this season. 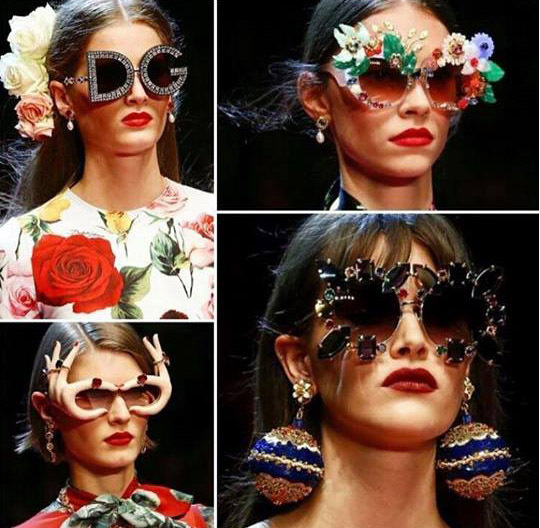 With so many Dolce and Gabbana’s glamorous options, we are spoilt for choice. Which ones your favourite? Style Notes: Spruce Up Your Interior Space With These Oh So Chic Home Accessories!